As an employer, you have a unique capability to ensure your team is getting the support needed to still be committed to an exercise programme well beyond the regular ‘quit your gym membership March‘ that many fall victim to. Well, when it comes to support, there are few tools out there more effective than having someone there to push you when you hit the gym (or pool, tarmac or grass for that matter, depending how nice the weather is). Taking up a personal trainer may be the most obvious solution to this, though in spite of the proven benefits when it comes to achieving results, not many people engage with a Personal Trainer (well under 10% of gym-goers use one in the UK). It’s time to encourage your employees to put their wallet away, because the ideal personal trainer may well be sat in the same office as them right now. Despite the plethora of different training methodologies that are available to us today, four out of five people say they exercise because they want to lose weight and/or look nicer. So that means that if you can find at least one person in your office who does regular exercise (31% of the population currently do according to the World Health Organisation) then there's a pretty good chance of being able to find a workout buddy who’s got similar health and fitness goals. Guiding your employees toward a unified employee wellbeing strategy can help further develop your employee wellness programmes to customise for their needs. 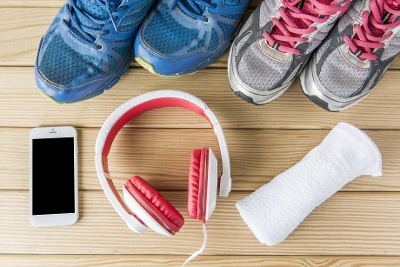 Although many might turn to their (real) next-door neighbour, connecting and encouraging your employees to be workout buddies can be even more beneficial to your employee engagement strategy. Keep in mind that it can also be different strokes for different folks when it comes to how we like to be motivated too. Would you get fired up from being bellowed at by the drill sergeant from Full Metal Jacket? A surprising number of us would, although there are many more who would run a mile (albeit in the opposite direction) from this approach, favouring a much more under-stated motivational style. If the gym isn’t for you, you’re not alone. Health Club Management tells us that 86% of the UK population don’t, and you might be one of them. But remember it’s not just about gyms any more, and the rise in popularity of outdoor fitness and ‘inclusive’ sports clubs around local parks is further proof of our love of getting our exercise with other people. A wellbeing solution that gives your employees access to a variety of employee wellbeing choices such as gym memberships, fitness classes or home exercise equipment could be the right choice. Get in touch today to learn more about SmartFit (only available for our UK customers) or ask us how you can broadcast your wellbeing goals through an engagement hub.